Goodreads Monday is a weekly meme hosted by Lauren's Page Turners. To participate, choose a random book from your TBR and show it off! Don’t forget to link back to her blog and feel free to add your links to the comments on her post. Having spotted this over at Secret Library Book Blog I've felt inspired to join in today, especially as I had GoodReads open on my computer anyway, and it's always a good idea to remind myself of books I've put on the TBR list and forgotten about! 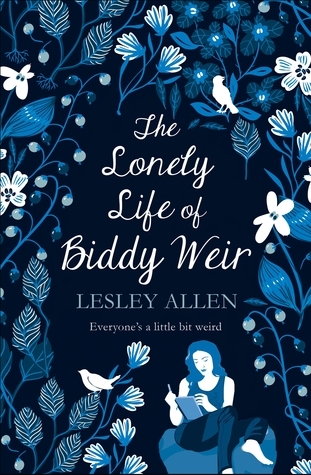 A story of abuse and survival, of falling down and of starting again, and of one woman's battle to learn to love herself for who she is, The Lonely Life of Biddy Weir is Lesley Allen’s startlingly honest debut novel, perfect for fans of Rowan Coleman and Julie Cohen. Anyone read this?! It sounds an amazing read so I might bump it up the TBR pile now! !